If you’ve been looking for a pretty baby blanket pattern, this just might be the one! This Lacy V-stitch Ripple Afghan by Heather Tucker is a very beautiful afghan. 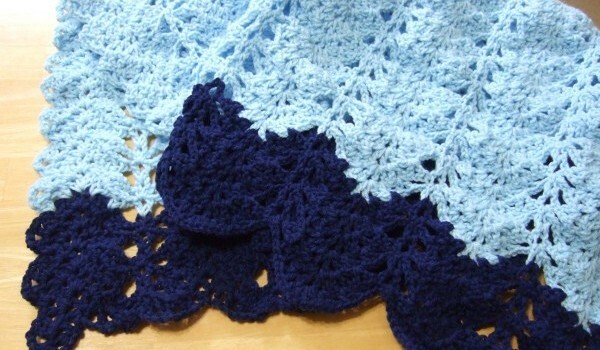 The lacy stitch is a fairly simple and repetitive pattern. Single and elegant this beautiful lacy look ads elegancy to the classic ripple design. Thanks to Heather Tucker for this article inspiration and featured image. this is a pretty winter color for the pattern. looks like snow. Is this the Amish stitch that Mary does in Return to Return To Amish ?? So many patterns. So little time.